The consulting team worked with city staff and consultants to initiate and complete redevelopment plans to bring new convention center hotels to the communities of Peoria and Tinley Park. 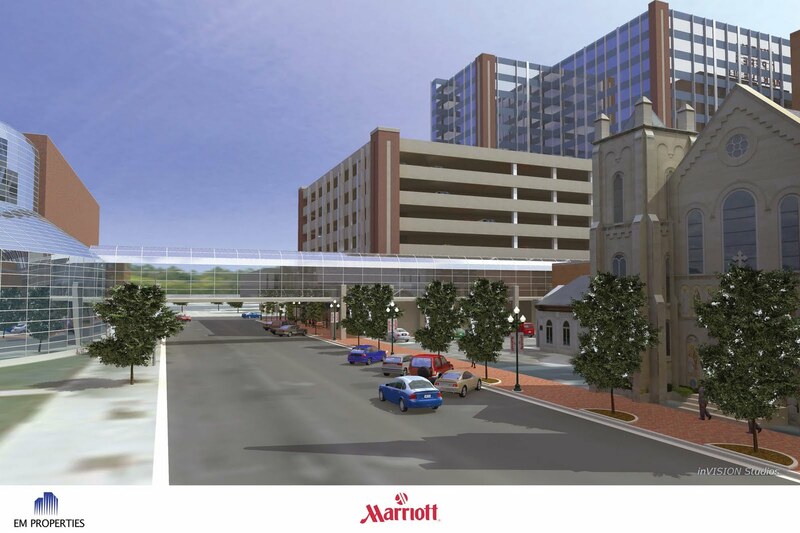 The cities used the TIF to pay for improvements to incent the redevelopment of the hotel and convention center. The consultants also initiated successful developer recruitment efforts, and helped the city negotiate the complex agreements required to complete the hotels. Downtown hotels and other hospitality industry business struggle to compete with quality new developments. A City can choose to compete or not to compete. A Tax Increment Financing District can assist existing and new businesses invest, improve, and expand. The City of Peoria has a quality convention center. 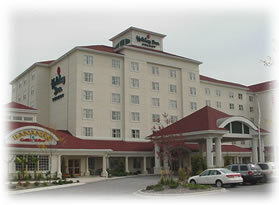 But a new attached hotel is a requirement for the convention center to compete for conferences and conventions. 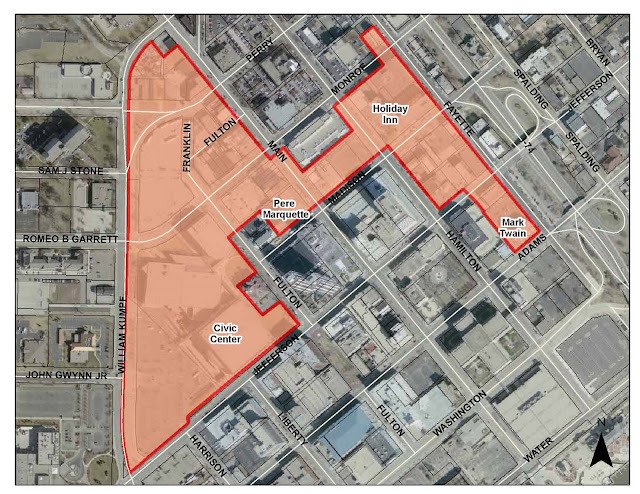 In 2008 the City created a Hospitality Improvement Zone (HIZ) Tax Increment Financing District (TIF) and a Business Development District (BDD). City staff worked with Camiros to conduct the property and building surveys that determined that the area qualified for the TIF and BDD. 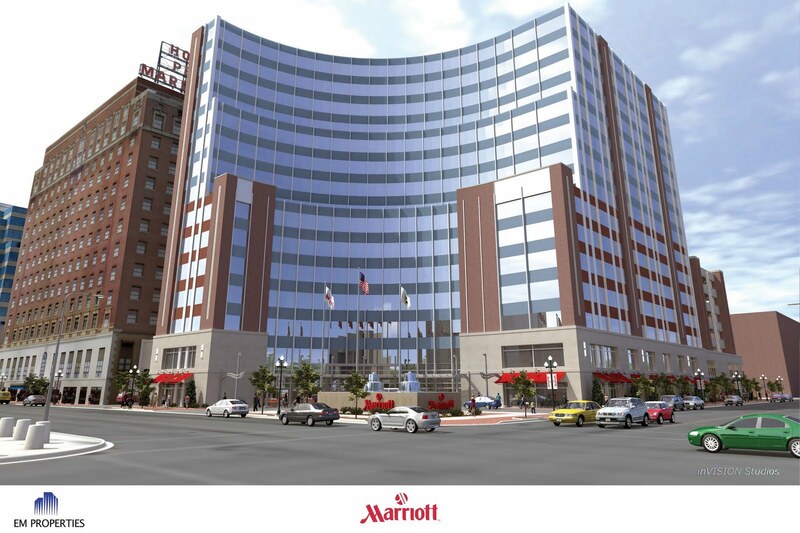 The TIF captures the new property tax that will be generated by the new hotel improvements over the next 23 years, and puts part of those funds back into the development. The BDD enables the City to pass a new hotel tax and a new sales tax of up to 1% to put back into the redevelopment. The maps below show the boundaries of the TIF and BDD, and the illustrations depict the proposed hotel improvement. The consulting team worked with the Village of Tinley Park to create the incentive programs for the development. 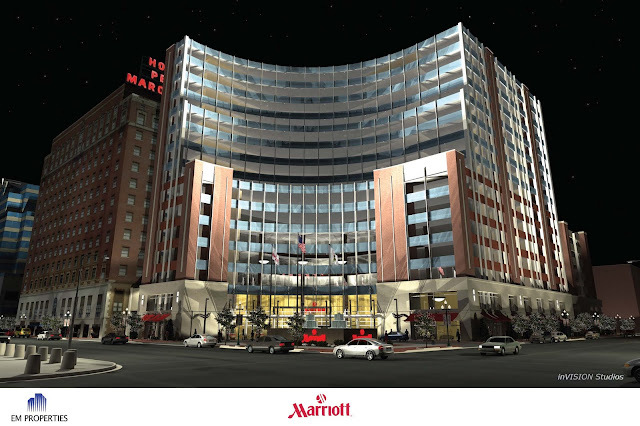 The consulting team recruited the successful developer and helped negotiate the complex redevelopment agreement. The TIF paid for the land acquisition, infrastructure, and construction of the Convention Center. This incentive made it possible for the developer to construct the hotel. The development has been very successful, and is located at I-80 and Harlem (Route 43) in Tinley Park, Illinois.